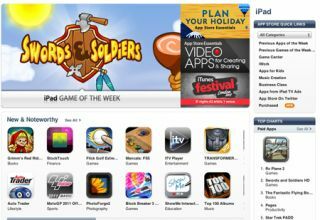 Apple raises UK App Store prices | What Hi-Fi? Apple last night increased the UK prices of apps and games on its App Store, following a change to its pricing structure. When an app is submitted to Apple for sale on the App Store, developers pick a set price from a tier set by Apple, rather than setting the price themselves. When those tiers are changed by Apple, the price can go up (or down). So now the cheapest apps, which were 59p, have gone up to 69p (an increase of 16.9%). £1.19 apps now cost £1.49 (+25%), £1.79 becomes £1.99 (+11%), £4.99 becomes £5.49 (+10%) and so on. Only the £2.99 tier remains the same, with no increase. The lowest increase is 4.2% (£2.39 goes to £2.49), while the steepest is 25% with £3.99 becoming £4.99. Prices in the US App Store have remained the same, while in Japan they've dropped.